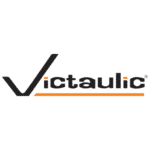 Since its founding in 1919, Victaulic’s enduring enthusiasm for crafting unconventional solutions has allowed it to forge new paths and secure the company’s place in history in helping solve some of the most unique challenges faced during the industrialization of the modern world. This includes a transformative moment in American railroading history at the height of the industry’s Golden Age. From 1804 to the early 1920’s, steam locomotives dominated the rail industry, but by the 1930’s the diesel-electric locomotive had proven its economic superiority over steam. Instead of generating steam in an enormous boiler, diesel locomotives relied on diesel to power a generator that, in turn, powered electric motors on the wheels, allowing them to run faster and longer than steam locomotives. These advancements in diesel engine and electrical equipment technology triggered a dash to diesel power. As America was entering into the Great Depression, it was an inopportune time to pour money into researching and developing experimental trains, but rail companies had little choice. Profits had been declining steadily since 1920 and the only way to survive was to reduce costs and improve efficiency. Diesel power seemed to promise both. At the same time, Victaulic’s innovative mechanical couplings were gaining increasing notoriety among the transportation giants of the day. By the 1930’s Victaulic had a growing list of customers which included the Pennsylvania Railroad Company, Westinghouse Electric & Manufacturing Company, and Baldwin Locomotive Works. 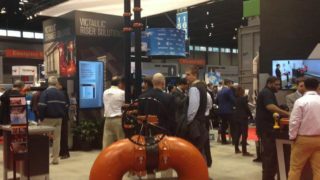 They relied on Victaulic solutions because for the first time it allowed the flexibility to construct piping systems from short lengths to easily connect supply lines within the unique space limitations of a locomotive. 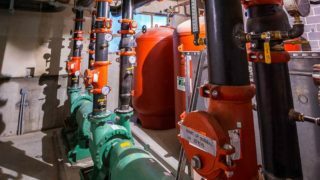 In addition, the durability of the Victaulic systems – the ability to withstand high levels of vibration while maintaining reliability and ease of access for maintenance – was particularly important. In 1930, Baldwin was the world’s largest locomotive builder turning out hundreds of locomotives per year for the Pennsylvania Railroad, the Baltimore & Ohio Railroad, the Atchison and Topeka & Santa Fe Railway. That year, Baldwin, in conjunction with the Westinghouse Electric Company, built the B-73 Yard Locomotive for American Steel & Wire Division of United States Steel. For one of the earliest models of locomotives produced during the industry’s shift to diesel power, locomotive builders at Baldwin turned to Victaulic’s patented mechanical couplings to connect the locomotive’s fuel, lubricating oil, and engine cooling water lines. A point of pride for the Keystone State, every part of the locomotive – from trucks and traction motors to prime mover and powertrain – was “made in PA.” Its car body and mechanical parts were built by Baldwin at Eddystone, near Philadelphia, its electrical equipment produced at East Pittsburgh, its diesel engine manufactured by Westinghouse at its South Philadelphia works and the couplings, connecting its water, oil, and fuel supply lines, by Victaulic Company of America outside of Easton, Pennsylvania. Upon its completion, the locomotive weighed 78 tons and was rated at 400 horsepower. In addition to the American Steel & Wire Division of United States Steel, The American Rolling Mill Company (Armco) also used the locomotive after it was refurbished by Westinghouse in 1942. Eventually. newer and larger diesels sidelined B-73 in 1965 and in 1970, Armco donated the unit to the Pennsylvania Trolley Museum in Washington, PA, where it resides today. According to Bob Jordan, President of the Pennsylvania Trolley Museum, B-73 remains in operating condition and provides backup power for their collection of nearly 50 antique locomotives, railway passenger, work, and special purpose cars. The couplings, like Victaulic’s legacy of innovation, have withstood the test of time. Jordan also noted the couplings have never been a point of service or maintenance since the locomotive was acquired in 1971. If the builders hadn’t used these couplings, the fuel lines wouldn’t have held up to the heat and vibration from 87 years of service and would have been needed to be replaced much sooner. For nearly a century, Victaulic couplings have demonstrated their durability and value by being rugged enough to withstand physically demanding operating conditions and demonstrating reliability for the lifetime of a build. The longevity of Yard Locomotive B-73 and its diesel fuel, lubricating oil, and engine cooling water lines is living proof of the lasting advantage that grooved piping systems brought to the locomotive industry. Many of the qualities considered in pipe-joining systems more than 85 years ago still hold true today: speed and ease of installation and maintenance, safety, reduced fire hazards and issues associated with welding, reduced downtime, and reduction in vibration and noise transmission.